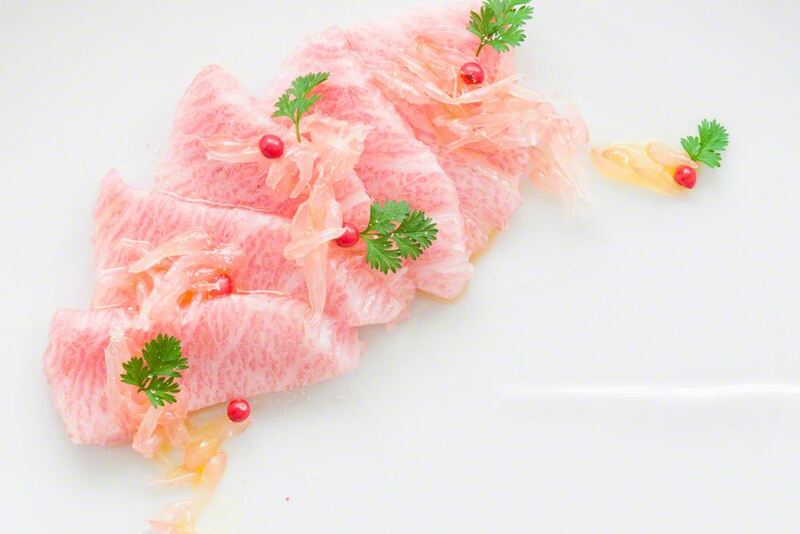 Choose from a variety of Bluefin Tuna Loin, Otoro, Chutoro, Yellowfin Tuna, and Bigeye Tuna. Fresh or frozen, & shipped overnight. 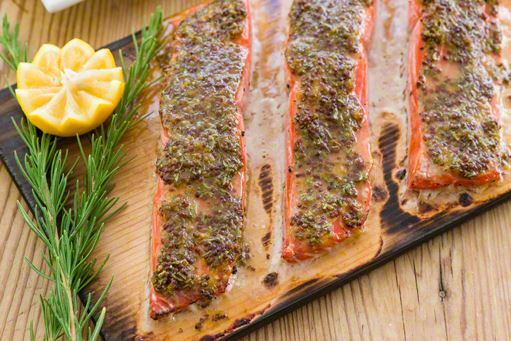 Taste the tender juicyness of Luxe Gourmets' Wild Alaskan Salmon all year round. Guaranteed to be fresh, raw, never frozen, and absolutely incredible. If you intend to cook or serve raw your Bluefin Tuna Loin the day it arrives at your home or restaurant, you will love this Fresh Farmed variety. To preserve your Tuna Loin in the freezer, select our SuperFrozen variety above. If you are wondering about the difference in taste: Many connoisseurs insist that Fresh Farmed is the best, while others swear by our SuperFrozen variety, and claim it has the superior taste and texture. Available throughout the year, but requires pre-order. Bluefin tuna has a mythological quality in Japanese markets- some have fetched market prices of over a million US dollars. Every New Year brings the first auction of the year at Tokyo's famous Tsukiji fish market brings record prices for this prized tuna species. One year a almost 500 pound bluefin sold for 1.7 million US dollars. That's over $3,000 per pound! These tuna are coveted for their red and pink meat, both the loins and toro portions, for sushi and sashimi world wide. 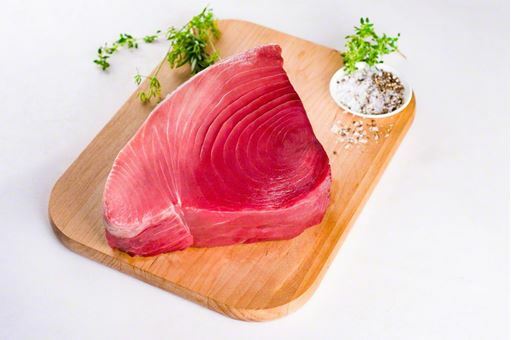 Fresh tuna delivered to your doorstep is a luxury that most home chefs have only dreamed about. 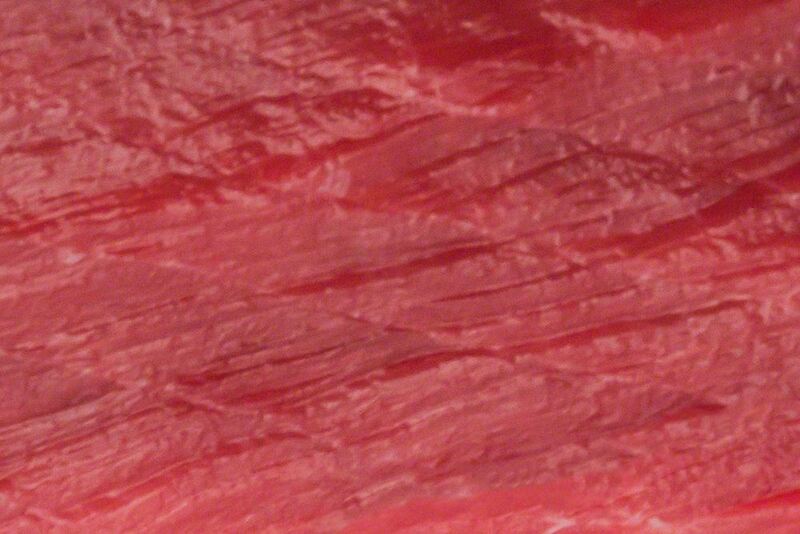 Until now, tuna of this caliber was only available in Michelin starred restaurants. Now with a preorder you can enjoy the same fish at your own dinning table.